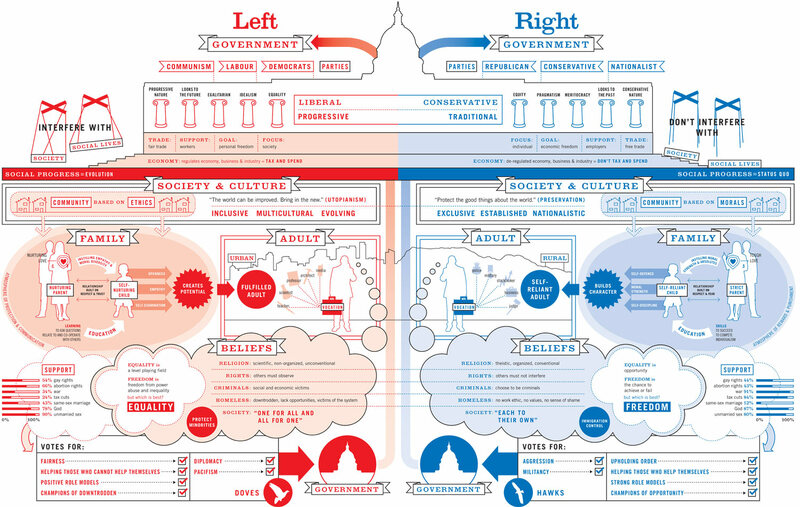 Recently covered in The Guardian, this visualization by David McCandless (author of “Information is Beautiful”) quickly highlights the metaphoric and ideological networks of association between the left and the right. What strikes me the most is how it could be used as a criterion to get beyond “single-issue” political conversations with others. If an issue like “gun-control” or “the environment” were being raised, it could quickly segue the discussion into the metaethical (and narrative) commitments that underlie policy positions–and perhaps the fissures in one’s own views that don’t fit the map at all. 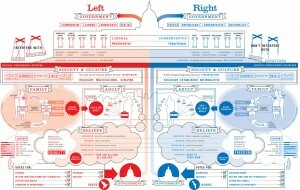 McCandless’s chart provides a great example of the possibilities for visual rhetoric in our age.